Tech Specs – Innovative Aluminum Systems Inc.
Information on Innovative Aluminum’s architectural specifications, testing, and building code certifications. 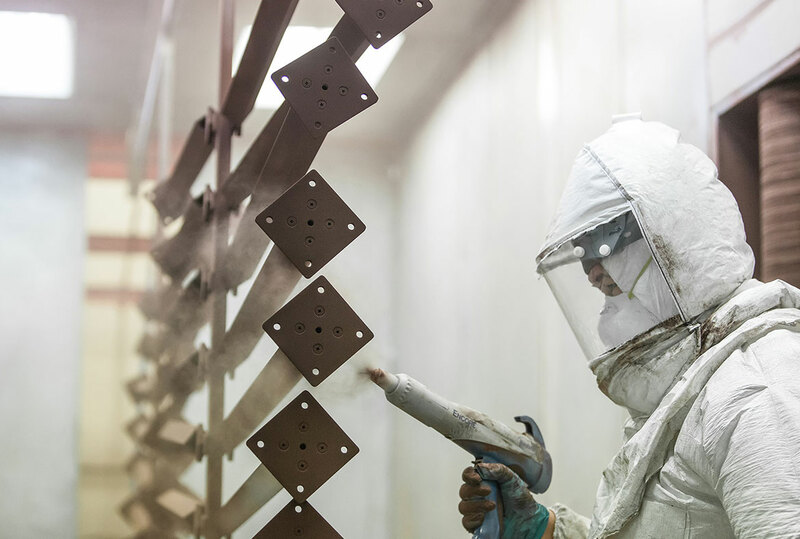 Innovative railing products go through a 5 stage powder coating pre-treatment process, and are available in a wide variety of colors. 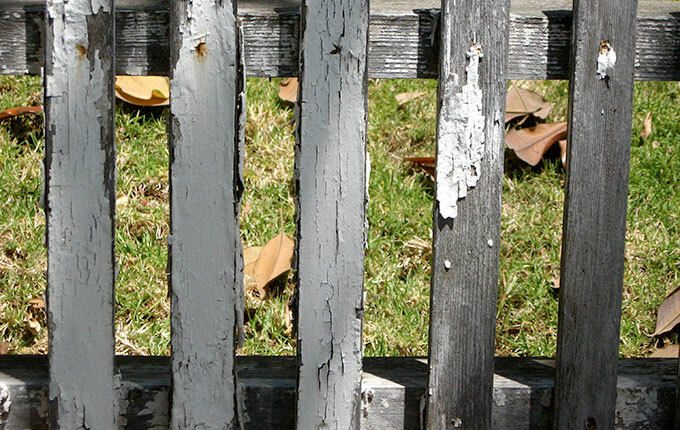 Our products are engineered to ensure a tough, maintenance-free finish. 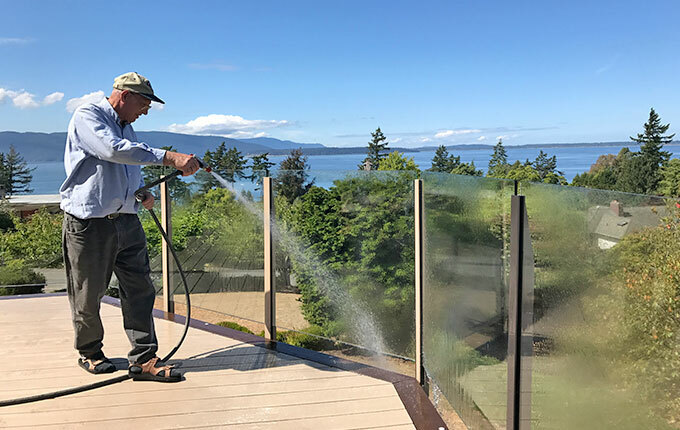 Light care and cleaning of your Innovative railing will keep it in top condition for decades. 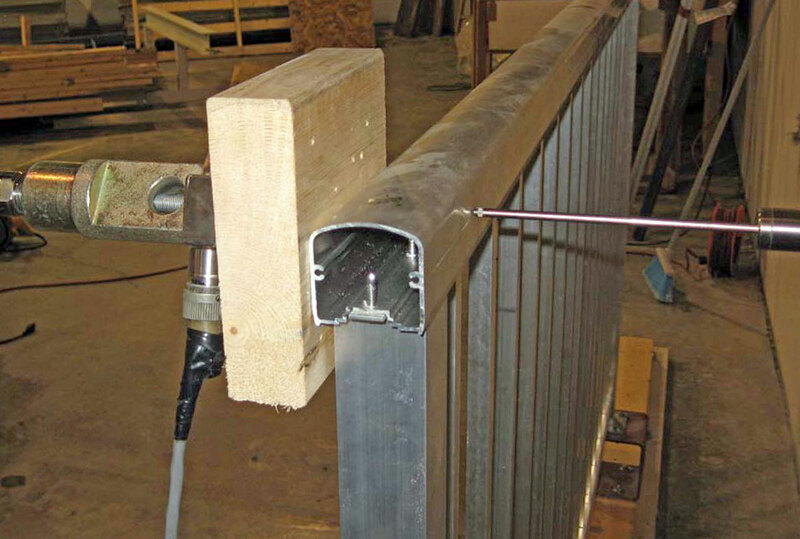 There are many benefits to choosing aluminum railings over other materials. Aluminum is lighter than steel, will not rust, rot, splinter or crack, and offers superior protection against the elements. 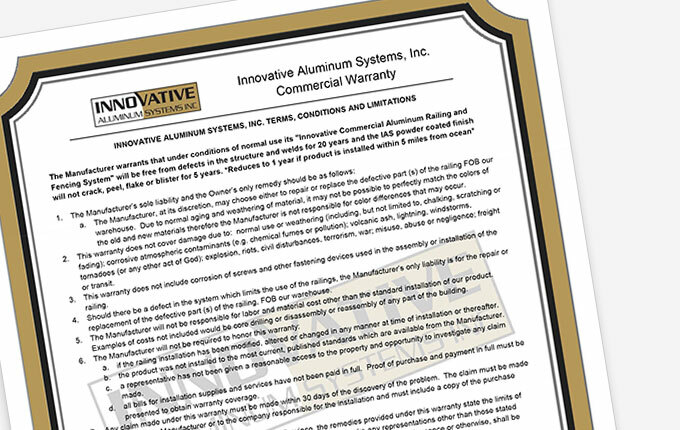 Innovative Aluminum Systems provides a 20 year limited warranty on structure and welds, and a 10 year warranty on our powder coated finishes.